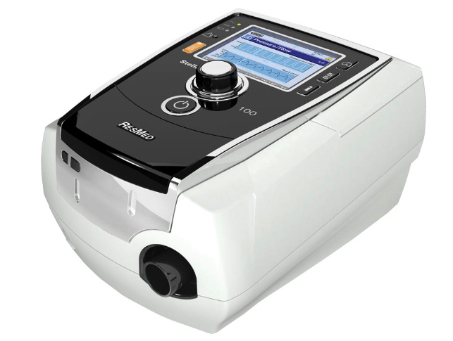 The AirCurve 10 VAuto is an auto-adjusting bilevel machine that uses the comfort of both the AutoSet™ algorithm and Easy-Breathe waveform in its VAuto algorithm to treat obstructive sleep apnea patients who can benefit from greater pressure support. The AirCurve 10 VAuto adjusts the baseline pressure to hold the airway open while maintaining a fixed pressure support. 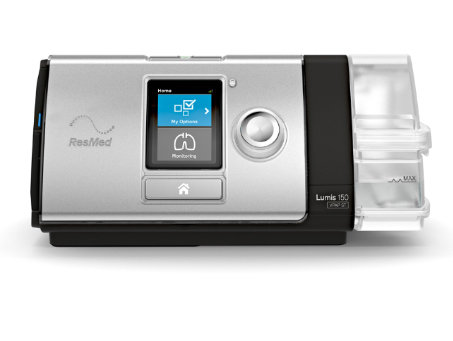 Lumis 150 VPAP ST is a noninvasive ventilator designed for non-dependent patients with obstructive or restrictive respiratory conditions. iVAPS learns each patient’s unique alveolar ventilation, sets appropriate targets, then provides smooth pressure support to suit. 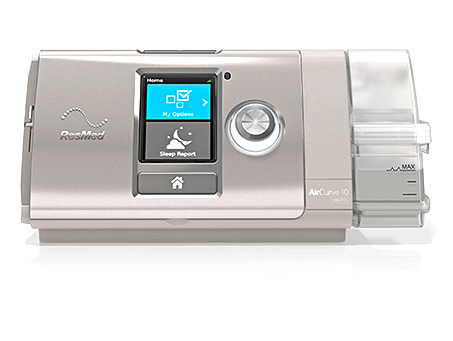 intelligent Backup Rate (iBR)* gives patients maximum opportunity to trigger the ventilator. Staying out of the way until needed, iBR adds backup breaths to comfortably bring patients back to target. *Available in iVAPS and ST modes. 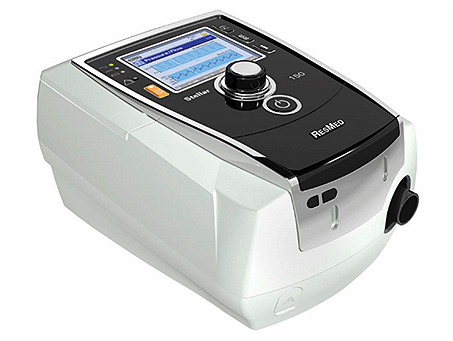 AutoEPAP** maintains upper airway patency by auto-adjusting the expiratory pressure in response to partial and full obstructions. **Available in iVAPS mode. Designed for mobility and portability, the Stellar™ 100 ventilator is ideal for your dependent patients with mobility needs. It’s lightweight and has an internal battery making it easy to move patients around — which is especially useful in pulmonary rehabilitation. Designed for versatility, the Stellar 150 is a noninvasive ventilator with invasive capabilities. Offering a comprehensive range of therapy modes, Stellar treats a wide range of adult and paediatric patient types with changing respiratory needs. From those who need NIV during their hospital stay to chronic patients at home with conditions, such as COPD, NMD and OHS, Stellar is a versatile system designed with its end-users in mind. The ResMed Leak Valve includes an anti-asphyxia valve, which is designed for safe use in adult or pediatric patients, with both cuffed or un-cuffed tracheotomies.